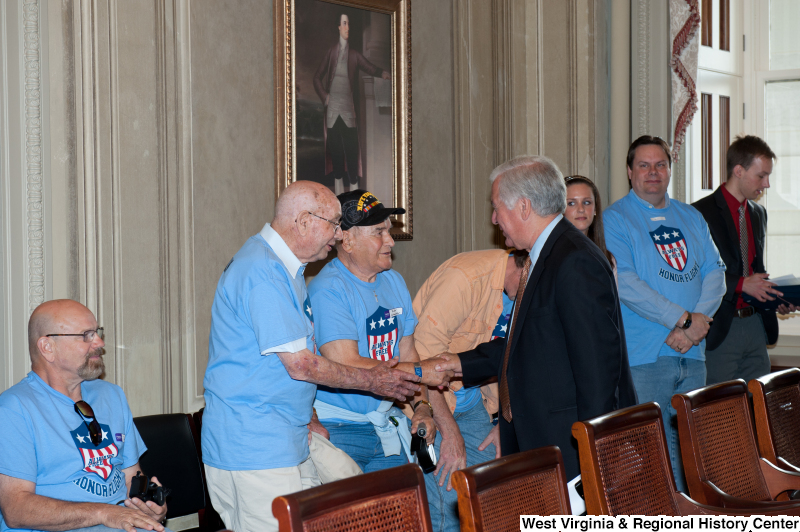 Congressman Rahall meets with men at a military award ceremony. 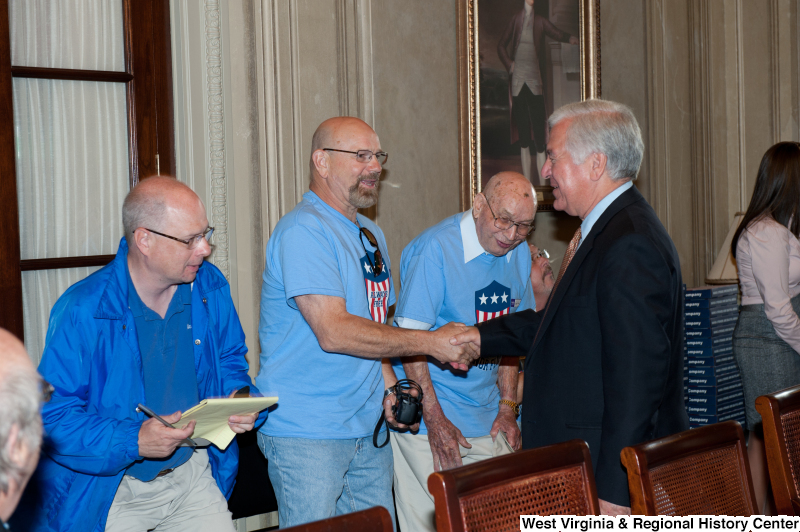 Congressman Rahall shakes hands with men at a military award ceremony. 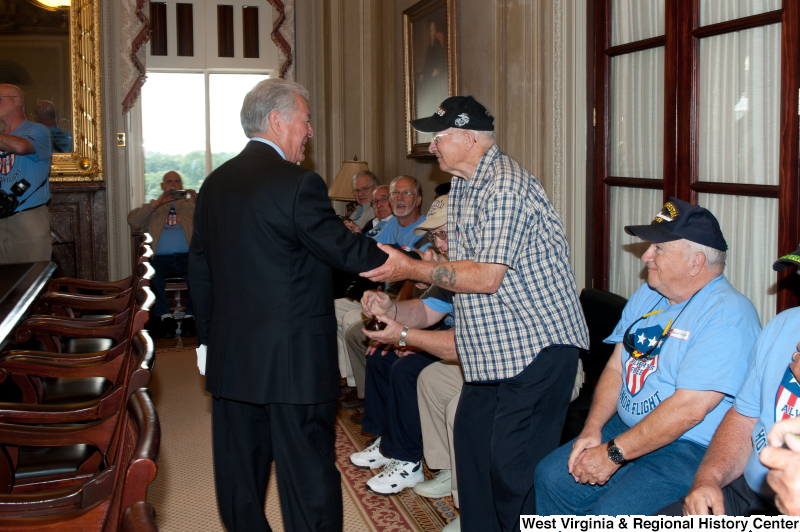 Congressman Rahall shakes hands with a man at a military award ceremony. 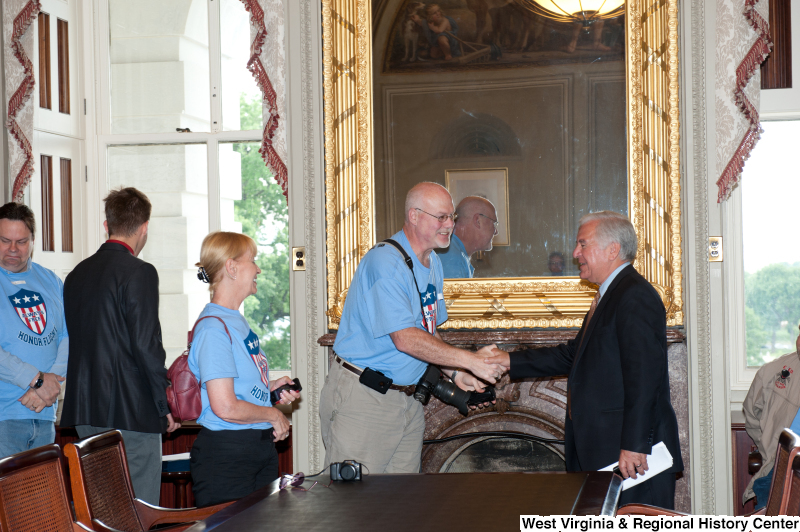 Congressman Rahall shakes hands with people wearing "Honor Flight" shirts at a military award ceremony. 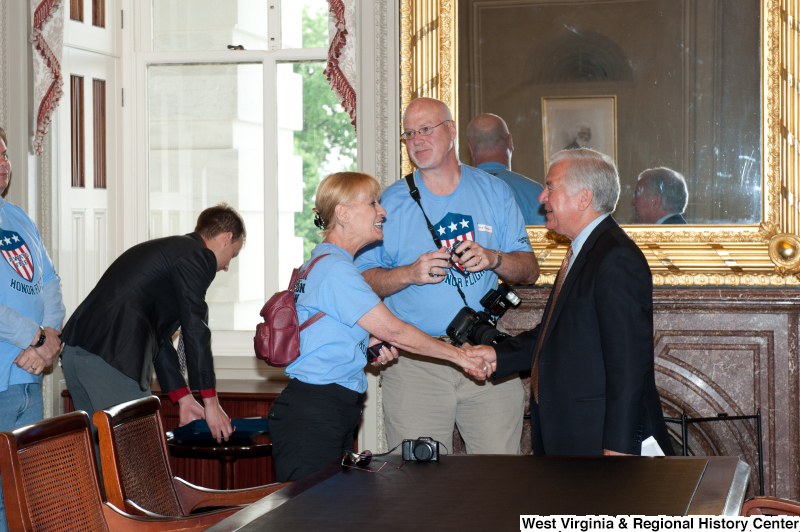 Congressman Rahall shakes hands with men and women wearing "Honor Flight" shirts at a military award ceremony. 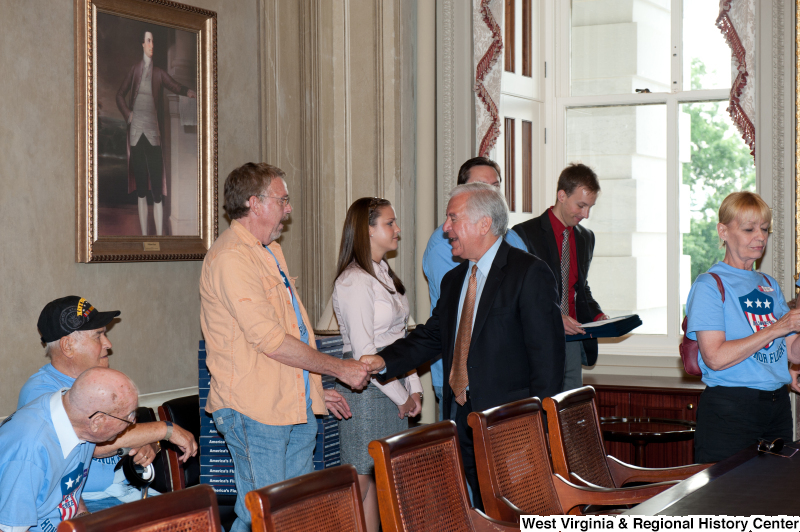 Congressman Rahall meets with men and women at a military award ceremony. 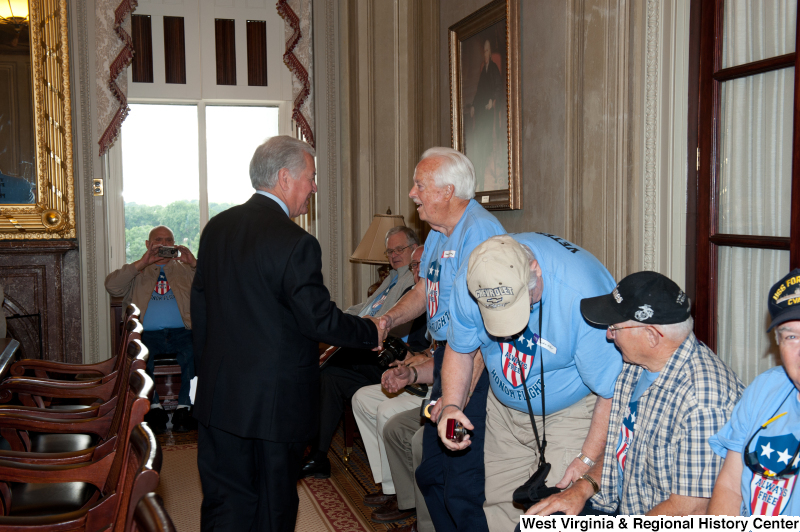 Congressman Rahall shakes hands with men wearing "Honor Flight" shirts at a military award ceremony. 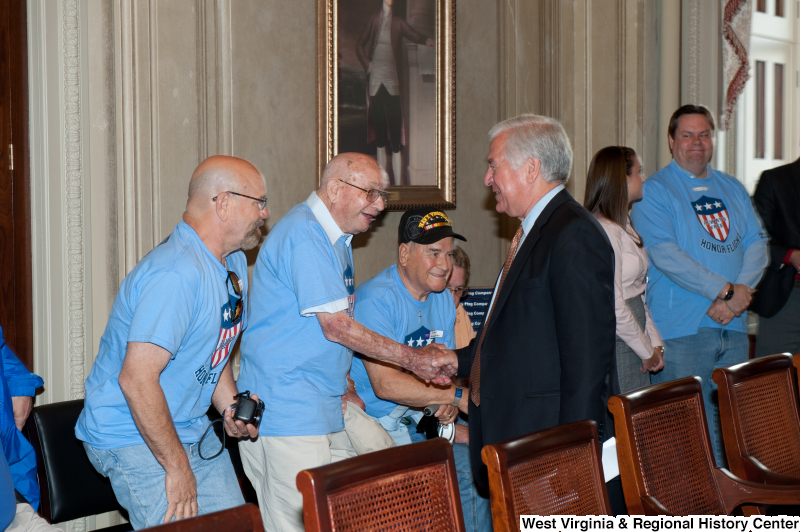 Congressman Rahall meets with other men at a military award ceremony. 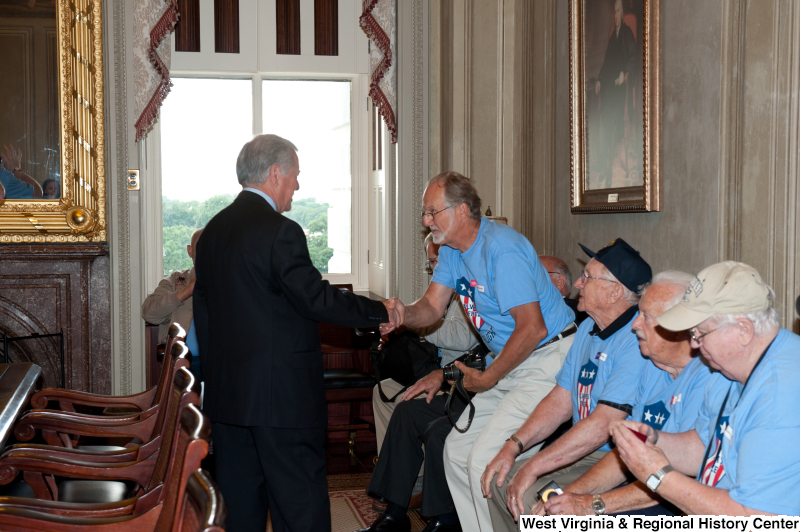 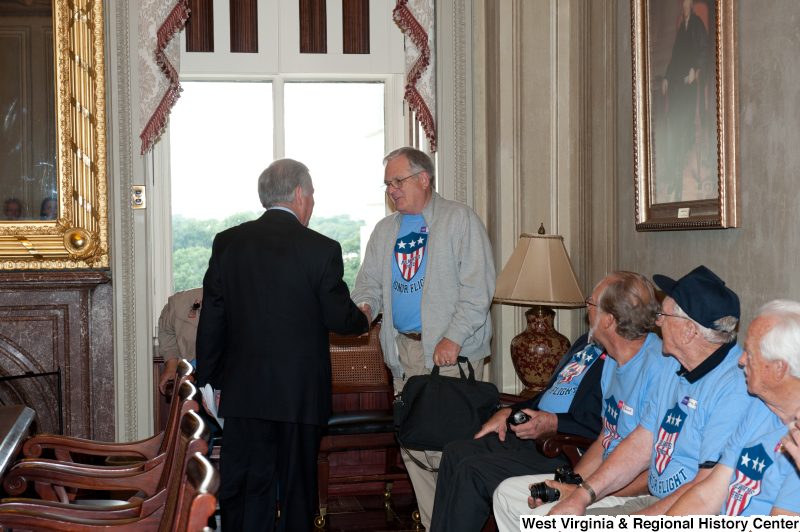 Congressman Rahall shakes hands with men wearing red, white, and blue "Honor Flight" shirts at a military award ceremony.